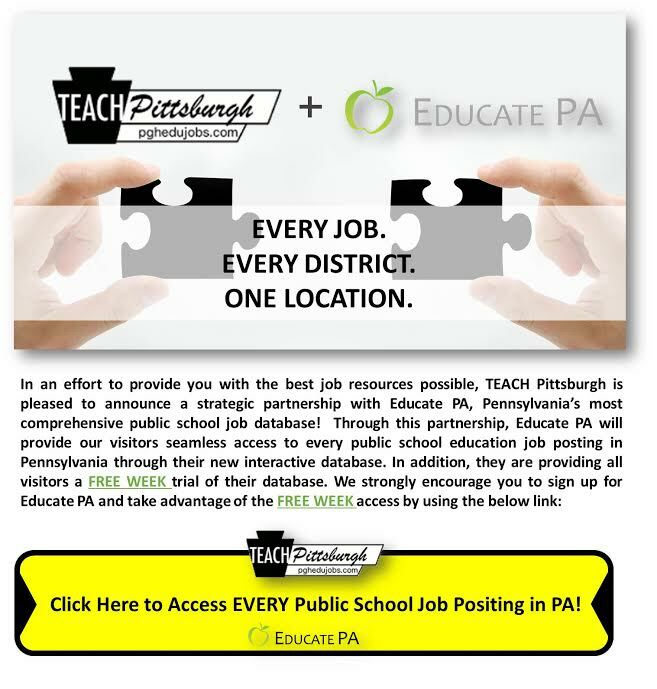 Visit www.EducatePA.com to see this posting, as well as all of the other public school job openings across the state! They are providing all visitors a FREE WEEJ trial of their database. We strongly encourage you to sign up for EducatePA and take advantage of the FREE WEEK access. Click here to see this posting!